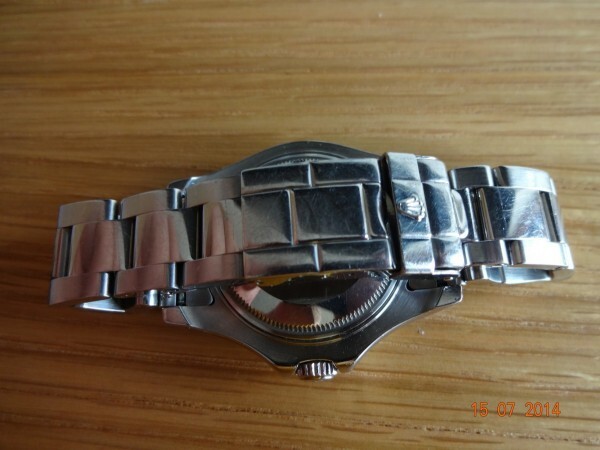 This was one on the misses departed watches she wore it for around 2 years then fell out with the watch. 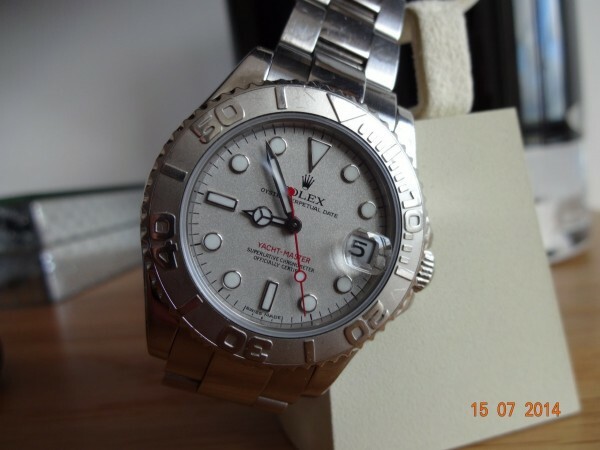 Rolex Yachtmaster midsize model 168622 was introduced in 1994 which never had any changes till 2012 where they then gave a revamp as by this time they pretty much modernized the full Rolex range. 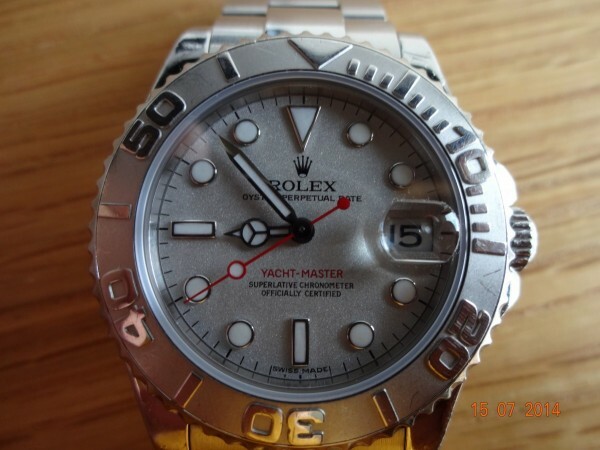 They did made a variety of versions gold with steel etc….. size wise its 35mm with the crown has a stunning sparkling silver dial with the date function at 3 o clock. 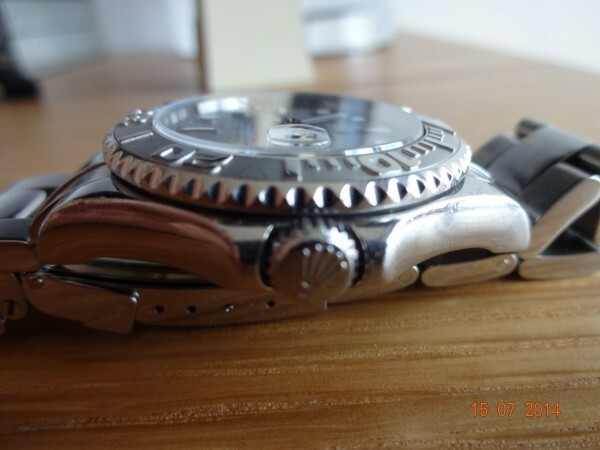 A very sporty looking time piece with a platinum bezel insert which i only found out recently, always thought the full bezel was platinum for years but its just a bezel insert. 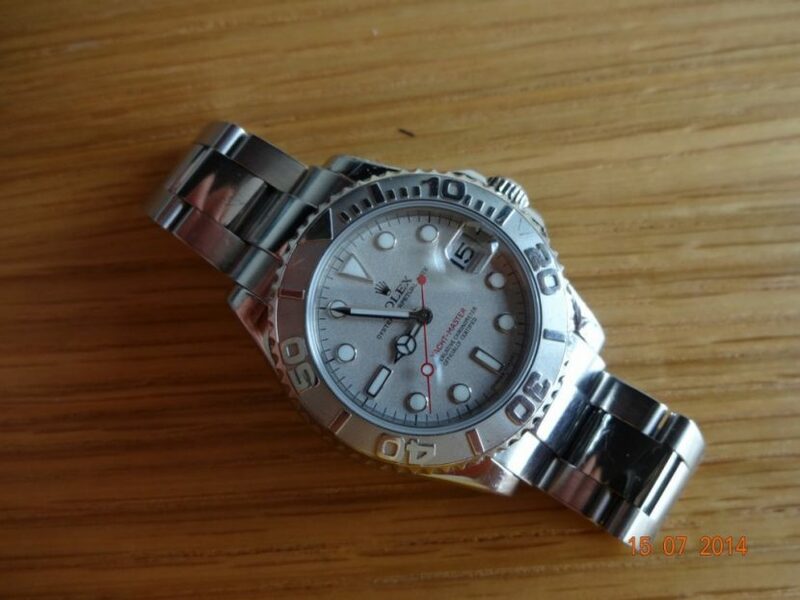 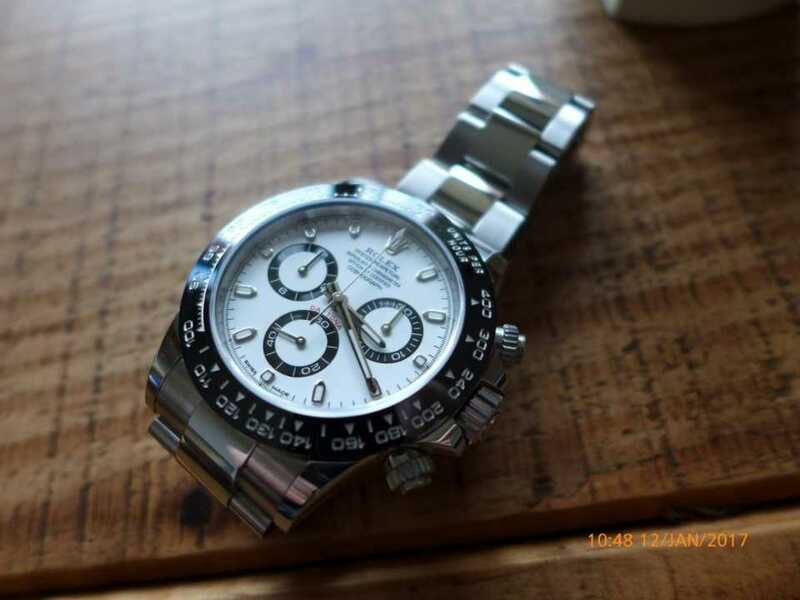 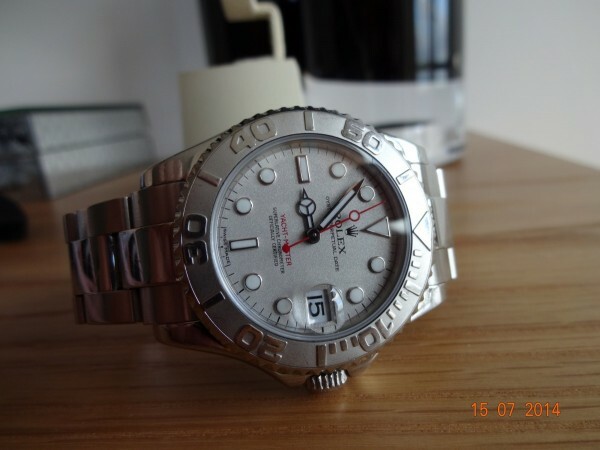 I have owned a few in the past of the full size version but it never floated my boat to be truthful the watch is water resistant to 100 meters and comes on a nice Rolex oyster bracelet all stainless steel bar the bezel insert, not a cheap watch to buy either in my opinion. But stunning watch for a lady of gent as is a unisex time piece.